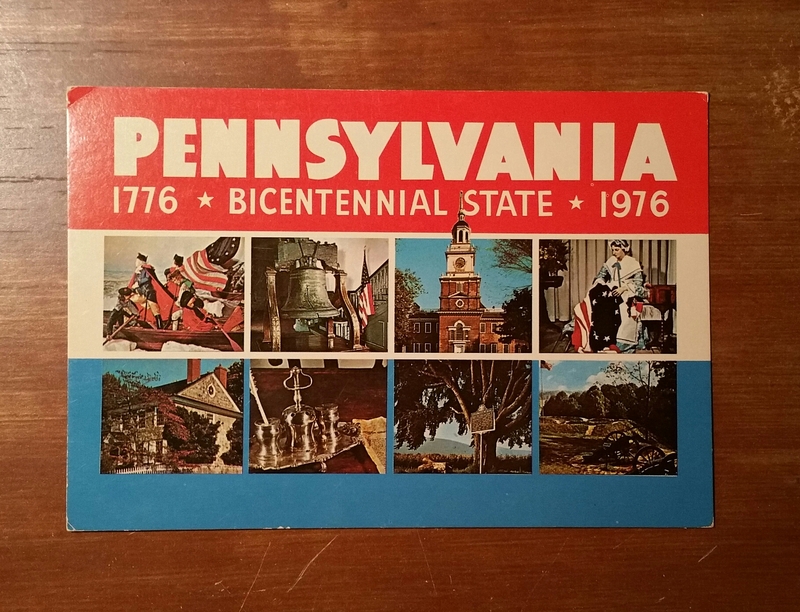 Since it’s Constitution Day, I’m going to meander away from our rancorous politics and go traipsing back to my childhood in the backwoods of northeast PA, plus a few other interesting locations in this blog post. My book collecting habit developed early in life, when I eagerly began gathering discarded books from my family and neighbors, especially my oldest sister, who had friends with whom she shared paperbacks. I pretty much read whatever books I could get my hands on and books I signed out of my school library. Some passions grow slowly and some are sparked by a specific event or person, I think. I can pinpoint exactly when and where my fascination with the history of early America and especially the Revolutionary War period started. Growing up in a large, blue-collar family, we never went on any fancy summer vacations, but my parents did do a lot of same-day trips to see tourist sites in Philadelphia, other historical sites in PA, parks, some amusement parks and other “natural wonders” like Crystal Cave, and lest I forget a childhood favorite tourist location that had a great selection of cheap tourist trinkets… tada, Roadside America. When my husband and I were visiting PA one time, in the early years of our marriage, I told him that you haven’t seen the greatness of PA until you see Roadside America, because it’s amazing. Let’s just say, he was less than impressed and he kept looking at me funny as I happily did the tour again and then insisted the experience wasn’t complete without spending an equal amount of time as the tour, pouring over the wide selection of gift shop “treasures”. I learned early on, that my husband does not have any tourist DNA in his body and he lacks any sensibility to appreciate the joy of collecting cheap tourist mementos. He used to love amusement parks though. Alas, fast rides scare the bejesus out of me and amusement parks attract large, loud crowds, another thing I assiduously try to avoid. Museums, historical sites and peaceful gardens, on the other hand, assuredly are the most delightful tourist locations, right? PA has many important and truly fascinating historical sites. To see Gettysburg really takes a few days of sightseeing, likewise Philadelphia, plus there’s that whole western side of the state too. My one son and I were discussing traveling and what types of places rank high on our tourist wish list over the weekend. He mentioned that he enjoyed touring historic Philadelphia and seeing the Liberty Bell and Independence Hall, but he’s not one to get all excited looking at stuff like a chair, where the tour guide reverently tells you, “George Washington sat here.” And, therein lies the difference between us. So, you might think the Liberty Bell or Independence Hall or perhaps even The Betsy Ross House provided that spark that grew into my lifelong passion. Colonial Williamsburg spoke to my young heart in a special way. Every person in colonial costume explaining something about life in pre-revolutionary America held me enthralled. Then we toured the House of Burgesses and a female tour guide explained that Thomas Jefferson stood at the half-open door to listen to Patrick Henry’s fiery speech denouncing the Stamp Act, a wildly unpopular direct tax imposed by the crown on American colonists. Standing in that room, I felt almost transported back in time. 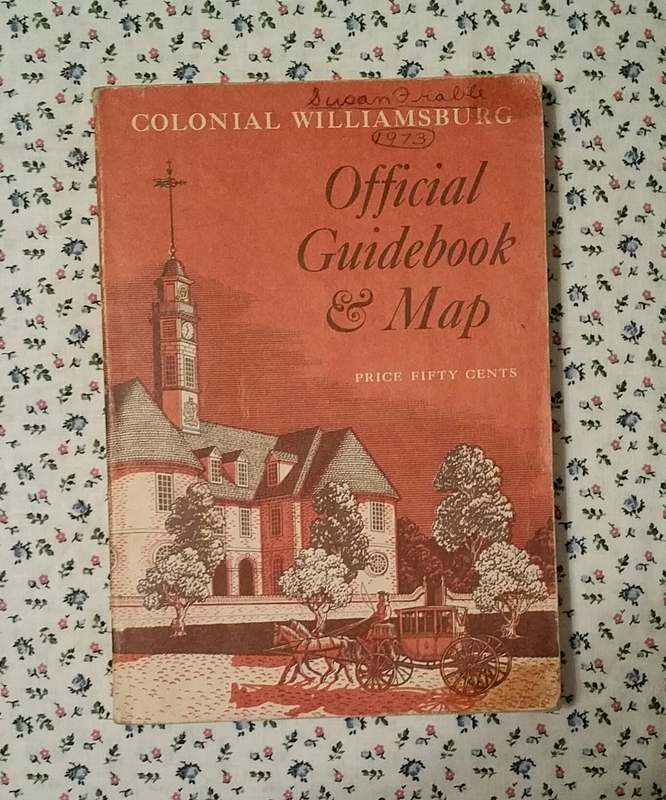 When it came time to leave, I yearned to be able to stay in Colonial Williamsburg forever, but alas, I had to settle for my official guidebook and, of course, some souvenirs from the gift shop. My prize souvenirs were a cheap, black felt tricorn hat and a large white feather quill pen. When I got home I cut two small holes in the back of my hat and inserted the feather at a jaunty angle. And yes, I often sat at my desk in my bedroom wearing my tricorn hat, reading about early American history and The Constitution, despite my sister, with whom I shared a bedroom, mocking me and my “stupid” hat. The Williamsburg trip was where it began. Then I was blessed with an amazing 7th grade U.S. history teacher, who inspired my love of studying The Constitution. A few years later, it was 1976 in America and everywhere I turned Bicentennial books and merchandise fed my passion. 1976 was a really great year for falling totally in love… with American history. Thanks, These are exactly my cup of tea and I am definitely going to watch them today. After I posted the one link (part I) I clicked to watch from your site which revealed the latter two parts didn’t appear. So, you’ll need click the little square to the extreme lower right and then scroll down for the some number of days segments passed to get where I intended to point. Thanks JK, I’m listening to part 1 right now. I got from the report that there’s approximately 328,000 +/- hectares in active poppy cultivation which, intrigued me to the point of comparing what that’d be equal nearabouts to one of our national parks. And maybe that’s what we need to do to ensure a smidgen of success in Afghanistan – declare it a National Park at which point we could forget about it. As good of idea as any, lol. On the bright side, at least they aced putting together an A+ visually appealing report… Wonder how much it cost to put this online report together?